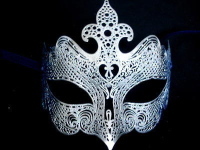 An extravagantly designed and handcrafted Venetian metal mask for ladies that like attention. 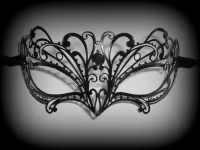 Simply beautiful, this stunning Romance Filigree Venetian Masquerade mask is striking in its simplicity. 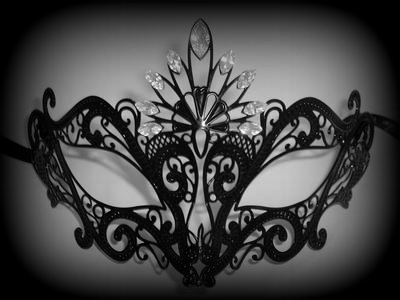 Stunning, elegant and crafted from black painted laser cut metal and adorned with authentic Swarovski crystal, this stunning filigree mask has an individual flair and a distinctive originality that really makes it stand out. 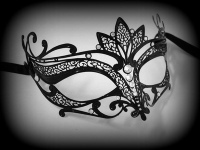 Perfect for any of your looks, this stunning mask will do more than just make you look great.